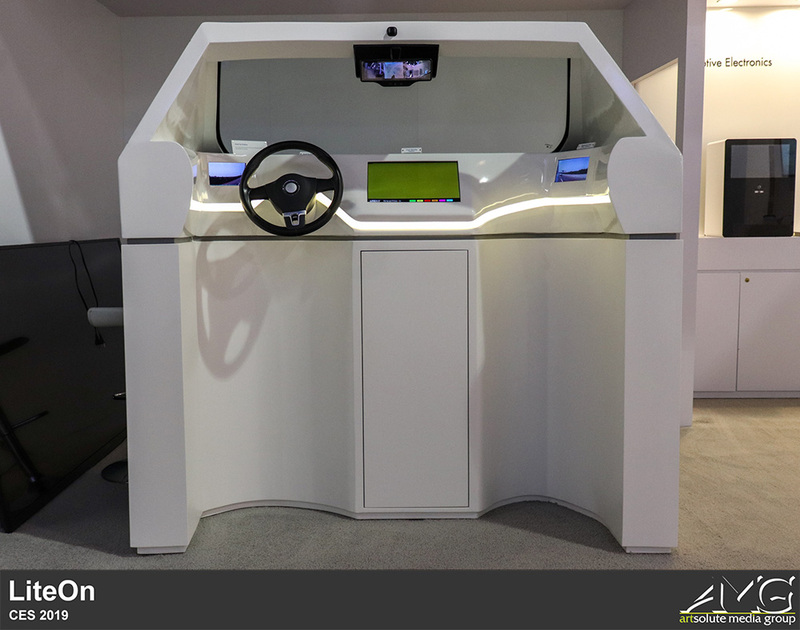 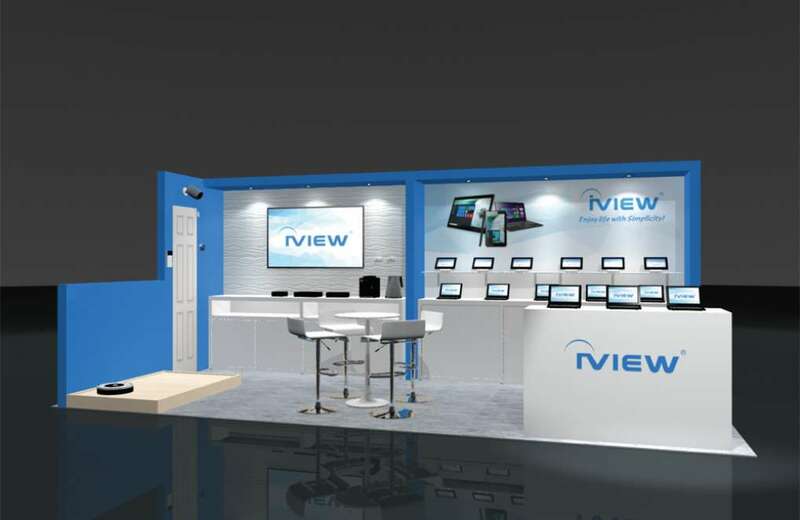 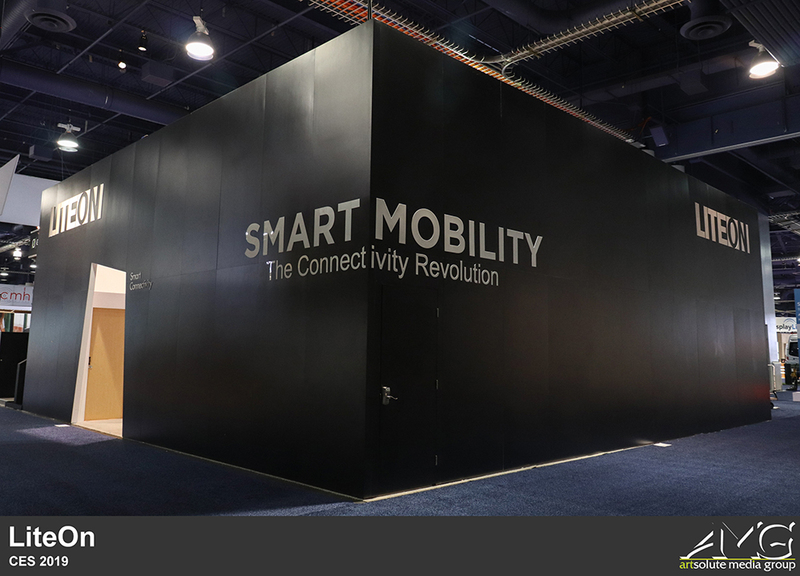 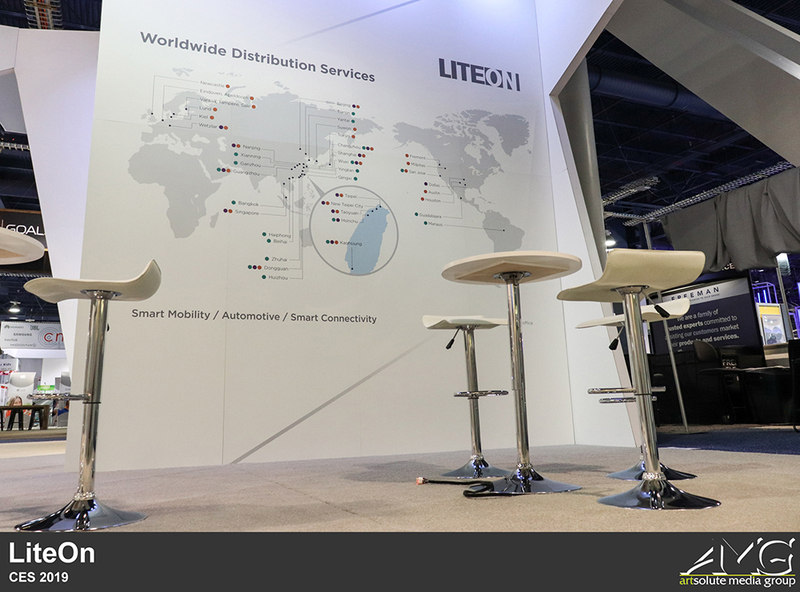 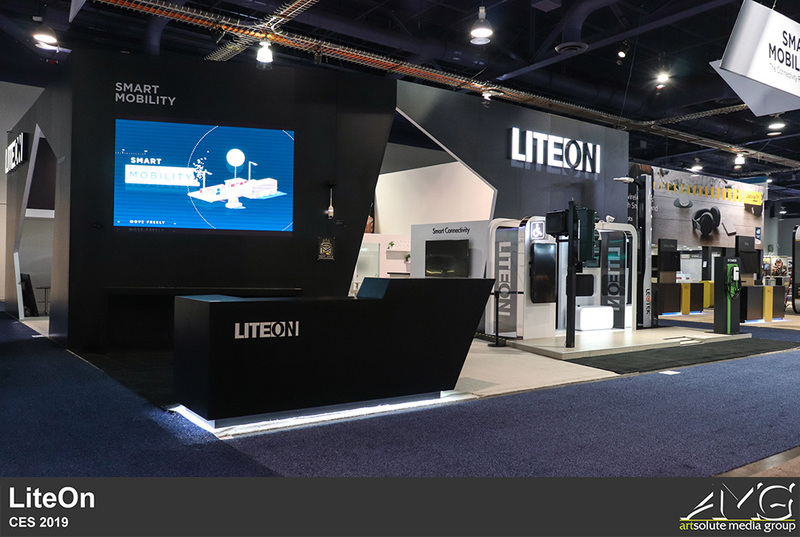 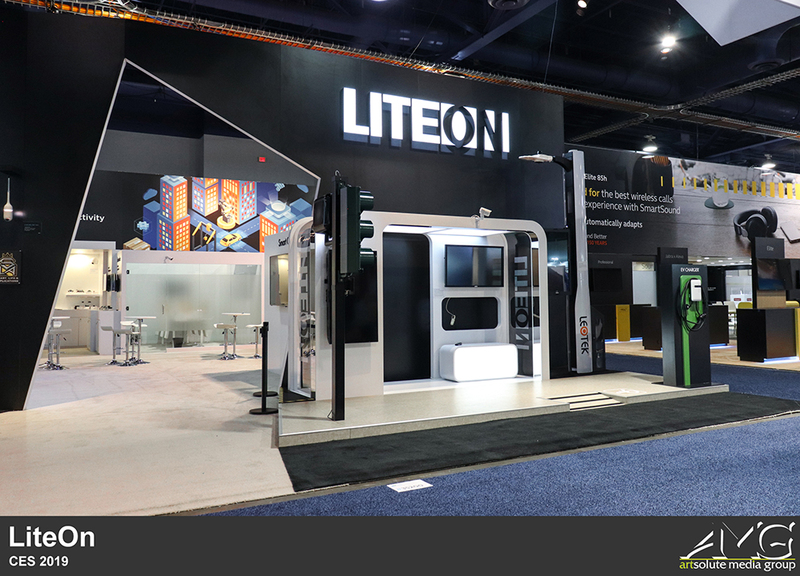 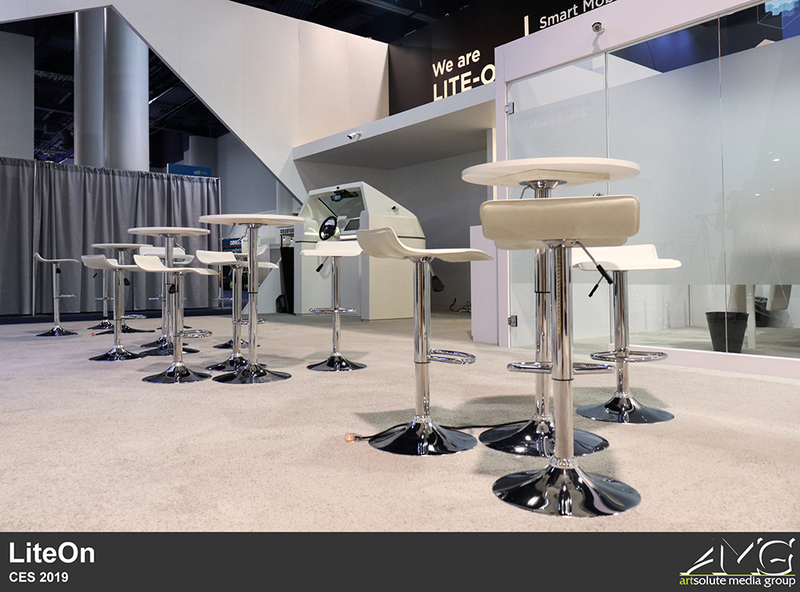 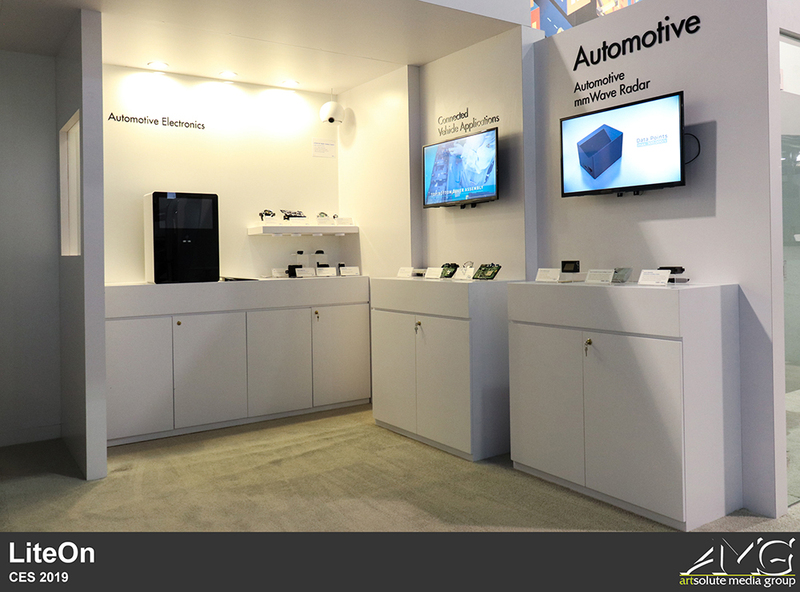 LiteOn's massive 40x50 exhibit at CES this year featured 4 exterior walls, 2 entrance ways, and an interior space filled with product displays, graphic artwork, and meeting rooms. 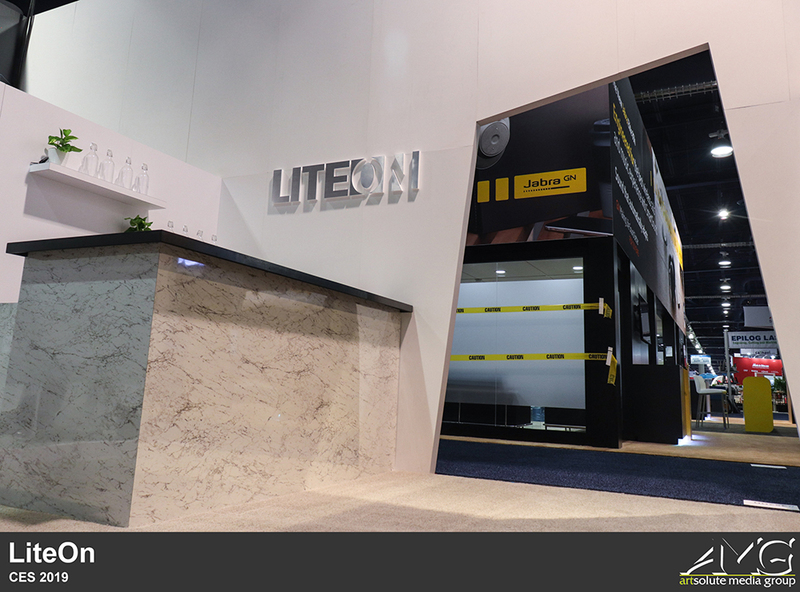 With the way the exhibit is designed, it almost resembles a sort of house or building. 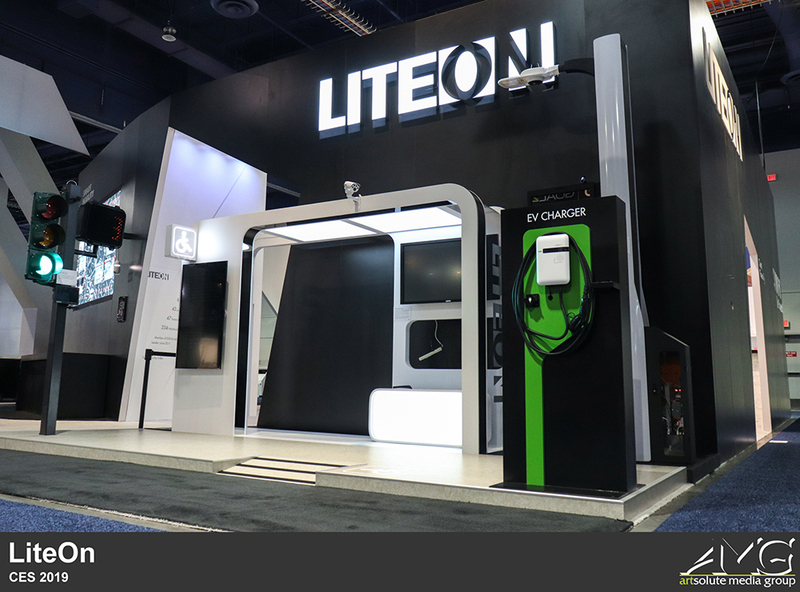 Near the front entrance of the structure, there is a designated demonstration area that features an electric vehicle charger and a mini stop light, among other things. 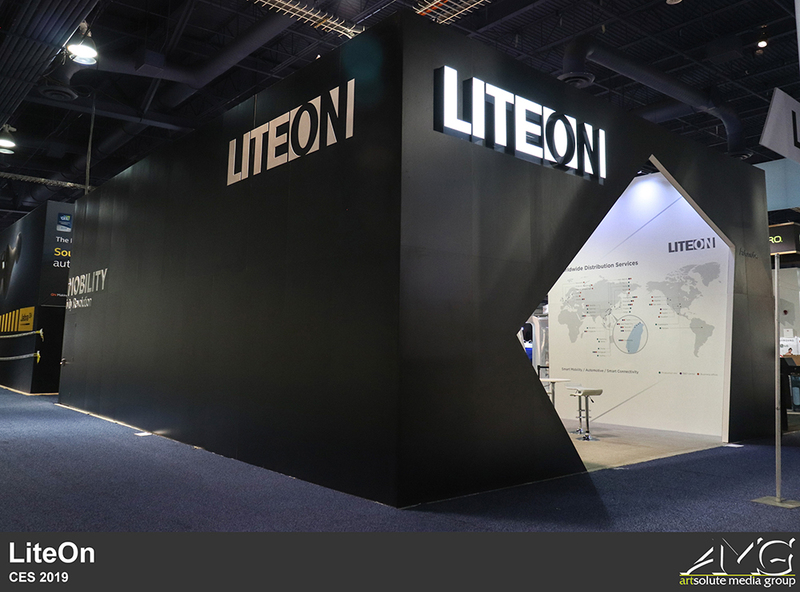 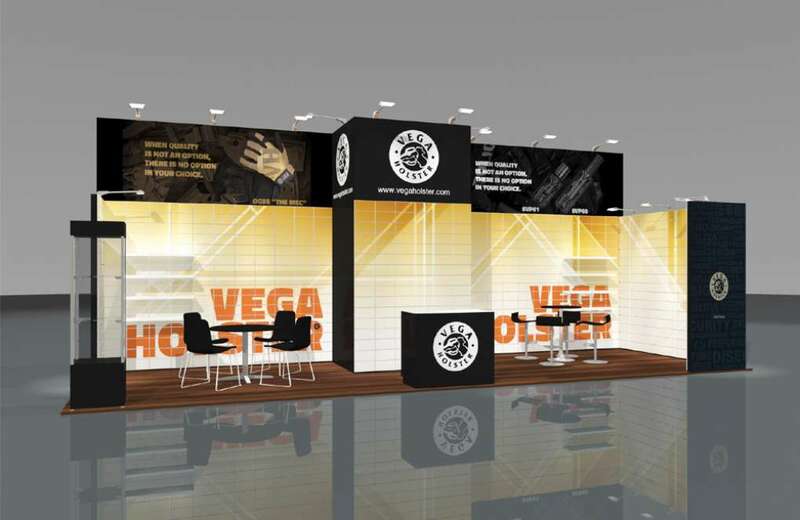 Both the inside and outside of the structure features multiple company taglines and logos, as well as information about the company and its products. 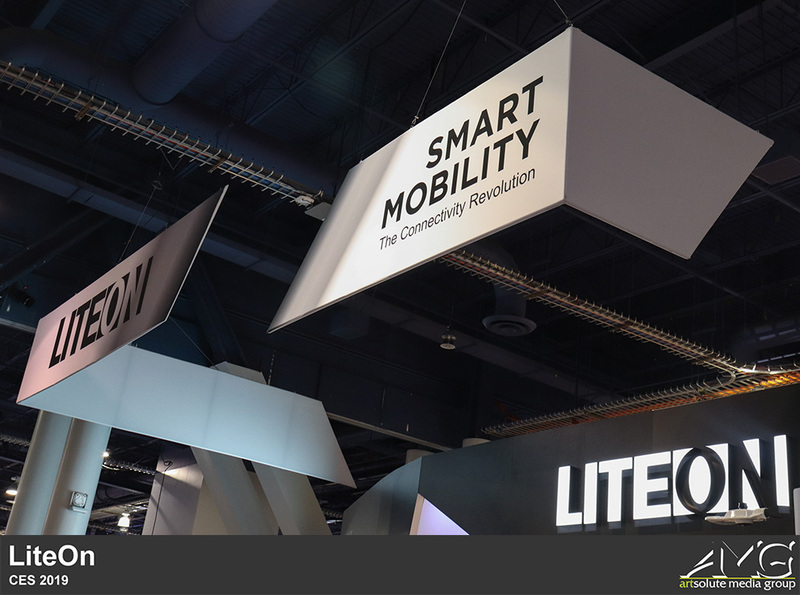 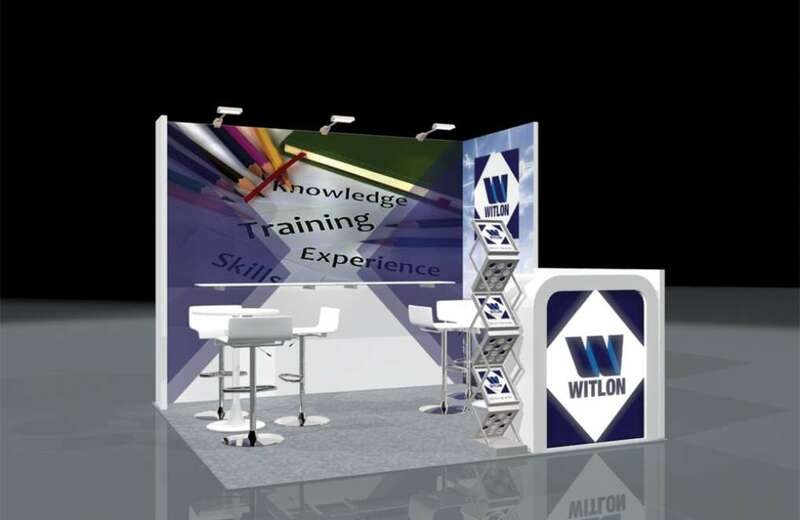 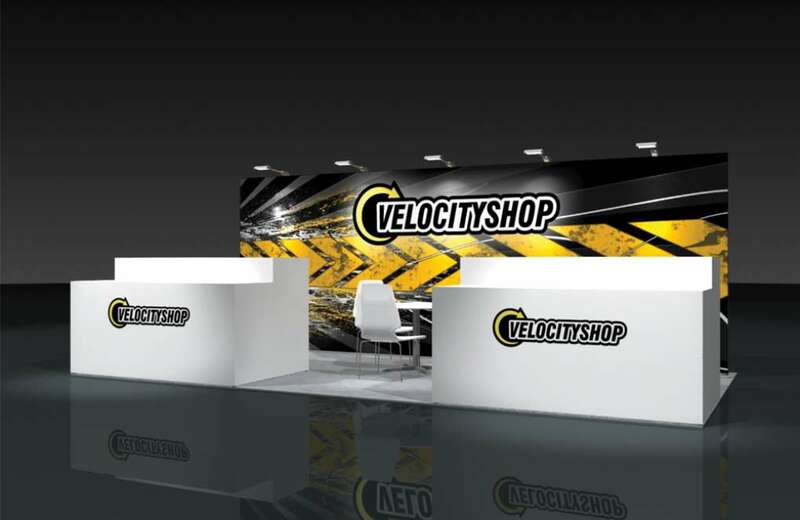 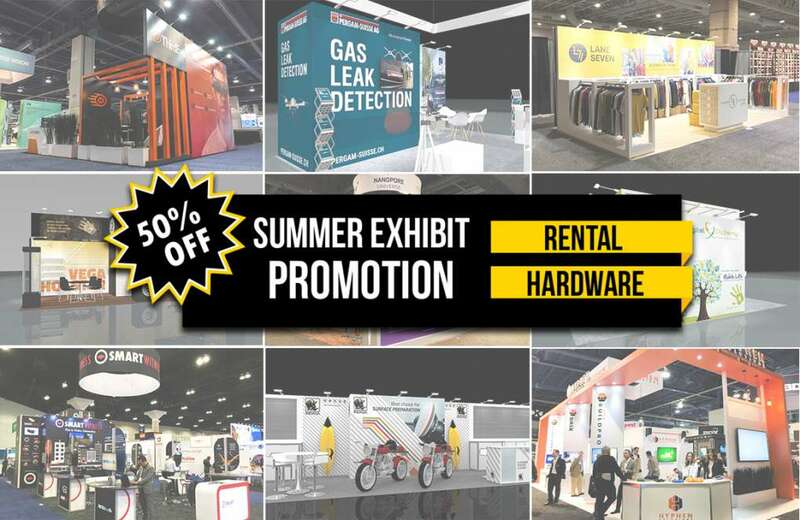 A large LED TV screen as well as a lightbox logo is also included on the outside of the structure near the entrance, providing an attention grabber to draw attendees toward the booth.